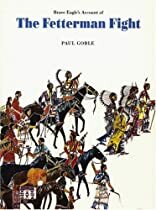 An account from the Indian point of view of the events of the worst defeat the United States Army suffered at the hands of the Indians. About Dorothy Goble (Author) : Dorothy Goble is a published author of children's books. Published credits of Dorothy Goble include Brave Eagle's Account of the F, CUSTERS LAST BATTLE.